The title was first published in 2001: In 1979, China opened the door to the West and implemented a series of economic reforms that led the accounting system to depart from the Soviet model. 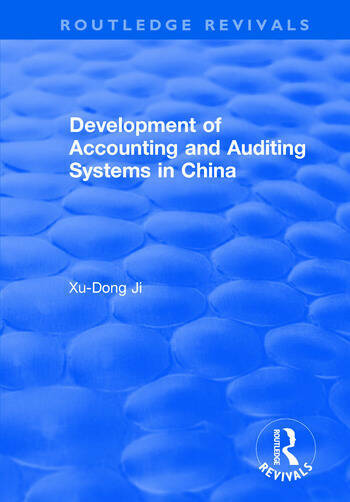 This book investigates the development of Chinese accounting in a broad social, economic and cultural environment and analyzes the environmental influences on the development of accounting in China. Including the latest accounting systems, which have to date received little scholarly attention, this cutting-edge analysis makes a worthy addition to a growing area of research. Contents: Introduction; Literature review; Development of the Chinese economy and accounting after the 1949 revolution; Accounting standards and uniform accounting systems; The accounting profession in China; Accounting education in China; Cost accounting systems in China; The development of management accounting in China; A survey of the application of Western management accounting in China; Empirical research factors influencing the development of Chinese accounting; Conclusion; Appendix; Bibliography; Index.